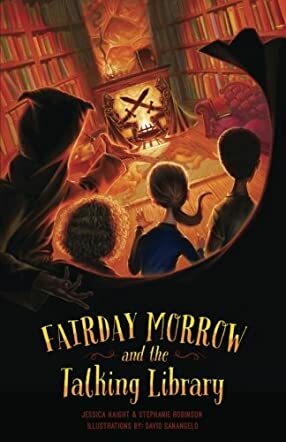 Fairday Morrow and the Talking Library by Jessica Haight and Stephanie Robinson is a wonderful adventure and magical mystery story, the second in the series, where readers are taken to Begonia House in the opening scene. Thurston Begonia is no more and the local librarians are shocked to discover that a rare collection of artifacts will be donated to the Ashpot Library. Fairday Morrow has recently moved to Ashpot, Connecticut with her family, and her parents have bought Begonia House, which is supposed to be full of surprises. The kids in the school keep asking about it and Fairday’s parents decide to throw a Halloween party. Fairday and her friend, Lizzy Mackerville, plan a book themed party. Along with Marcus and the DMS (Detective Mystery Squad), they discover notes written in riddles and come across the Talking Library. Now they have to find the bookworm that is eating all the words and destroying the books. Will they succeed? This book is filled with adventure, magic, and fantasy, and will leave young readers intrigued by the strange happenings. The story is fast paced and will keep readers on their toes, wanting to know what is going to happen next. The plot is unique, imaginative, creative, and fresh and I like how the authors bring the written word, grammar, books, and libraries alive. The illustrations add to the appeal of the book and it is a good read for all those kids who love mysteries. The characters are interestingly portrayed and the concepts will not only encourage children to read, but will make them more imaginative and adventurous in their thinking and creativity.